In such circumstances the Court will usually require a driver’s attendance at Court for consideration of a ban to be imposed. The driver will receive a summons to attend Court which will include details of the charge. A driver faced with such a summons will have the option to plead guilty, or not guilty to the offence. Your hearing will usually be listed before Magistrates or a District Judge sitting in the Magistrates Court. The Court will hear your case and will consider the appropriate sentence for your offence. Typical sentences include the imposition of points, a driving ban, and a fine together with court costs. If the Court imposes points for the offence you face which ‘tot up’ to 12 points or more, the Court will look to impose the ‘totting up’ ban. A totting up ban will disqualify you from driving for a period of six months from when the ban is imposed. If you advance an exceptional hardship argument, the Court will hear evidence from you directly and will consider the effect that a 6-month driving ban would have on you, and on any other person who would be directly affected by the imposition of a ban. The Court will want to hear the impact that a ban would have on your work and home life, together with any direct effect on family members. Losing your job is not considered exceptional hardship by the Court, but the financial effect that a job loss will have on your life, or that of your family’s, may be important. If the Court is satisfied that you would suffer exceptional hardship, the Court has two options; firstly, it may decide that a ban will not be imposed as a result of having ‘totted up’ 12 or more points. In such circumstances you will be able to continue driving even though you have 12 or more points on your licence. Alternatively, the Court may still decide to ban you from driving, but they may impose a ban for a period of less than 6 months. This may occur if, for example, your exceptional hardship will not arise until part way through the 6-month ban. Points remain on a driving licence for a period of four years, but only count for the purposes of ‘totting up’ for 3 years from the date of the offence. 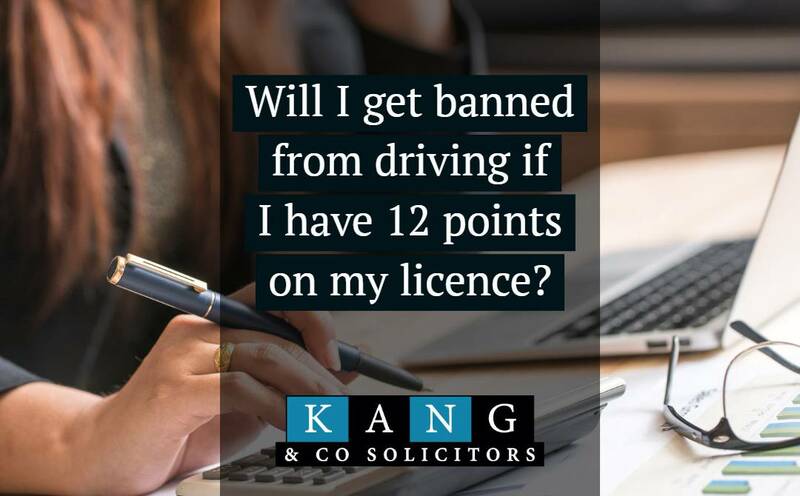 If you face further penalty points which would again take your total number of points to 12 or more, having already established exceptional hardship once before, you cannot run the same exceptional hardship argument for a period of 3 years. You may, however, advance an argument of exceptional hardship within that three-year period if your ‘hardship’ is different in nature from what has been advanced before. If you require a solicitor for a totting up driving offence, please contact us for 10 minutes free initial advice on 0345 222 9955 or by filling out the form below.